Moreton-in-Marsh railway station is a short walk from the show site. Those travelling to the show by train can buy discounted tickets at the gate on production of their train ticket dated showday. Johnsons Coaches run a regular service Monday-Saturday with drop offs at Moreton Railway Station and Moreton High Street. For more information on these services please view the bus timetable. Cash Machines will be available on site and can be found next to the Changing Facility Marquee in Zone A. If you are purchasing tickets on the date cash back is also available at the main gates. Dogs are allowed on the showground with fixed leads only. No dogs to be left in cars. There are dog watering points throughout the showground. Dogs are not allowed within several areas of the show - please see notices on the showground. 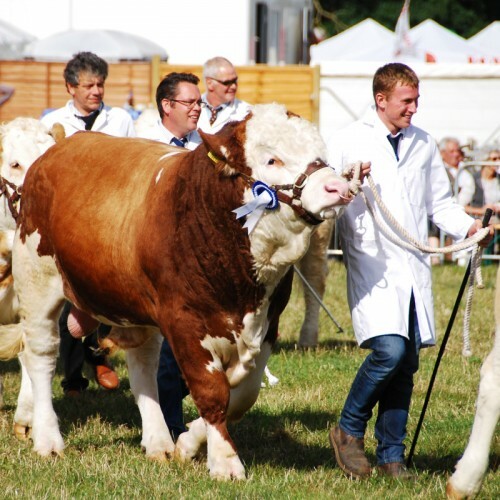 We appreciate any feedback on the Moreton-in-Marsh Show - both good and bad! To give us feedback please see the contact us page. If you require forward parking you must bring and display your blue badge - the side showing the photograph must be shown when entering the carpark but you should leave the other side showing when parked. This is available on a first come first served basis. To allow the animals to be prepared and moved to the Grand Arena, the Livestock Area will close at 3.20pm to the general public. If you lose a child on the showground please report immediately to a show steward. Similarly if you find a lost child please report to a show steward as soon as possible. If you lose any valuables on the showground please report to the Secretary’s Office. Please do not leave your belongings unattended at any time. 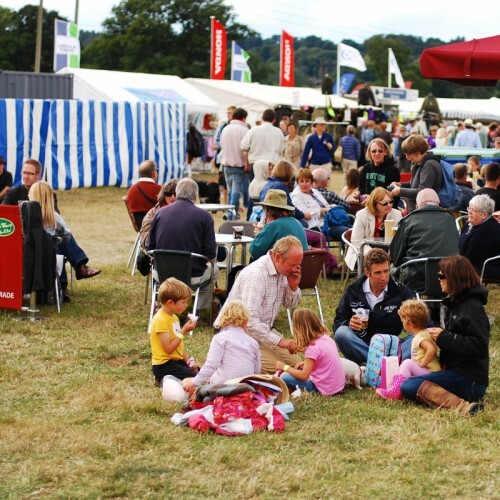 We have food and drink outlets throughout the showground. There is also areas set aside if you wish to picnic. There are numerous rubbish bins around the showground -please dispose of your rubbish thoughtfully. All rubbish from Moreton Show is recycled or aerobically digested, we aim for zero waste to go to landfill. Please heed the instructions of any stewards or security officers or police and act upon them immediately. If you require medical help either report to any Steward or to the Secretary's Tent. 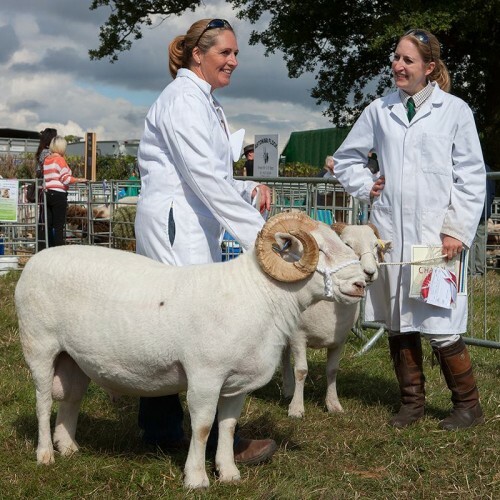 Medical facilities are available on the showground all day. If you have brought your own wheelchair / buggy with you please advise the car parking attendants when you arrive, as space will need to be allowed for unloading / loading. If you require the use of an electric scooter or a manual wheelchair, please call Event Mobility before the Show on 01386 725391 or visit www.eventmobility.org.uk. The 2019 booking form can be downloaded here. Should you order a mobility vehicle, Event Mobility will be located in the disabled car park – please follow the signs. ALL mobility vehicles MUST be ordered in advance. No bookings will be taken on the day. There are no steps on the showground - it is all on one level and suitable for wheelchairs and buggies, but care should be taken as the surface can be uneven in places. There are plenty of toilets available throughout the showground. Disabled toilets are also available at various points on the showground - for further information please see the map. A viewing area for non able bodied people, is provided on the North side of the Grand Arena.